One of Spain's acclaimed Balearic Islands, Mallorca is also known as 'Majorca' and lies off the country's eastern coast. To the north-east of Mallorca you will find the island of Menorca, the capital of which is Maó (Mahon), while Ibiza lies to the south-west. Mallorca is the largest of the Balearic Islands and contains many glorious stretches of sandy shoreline. 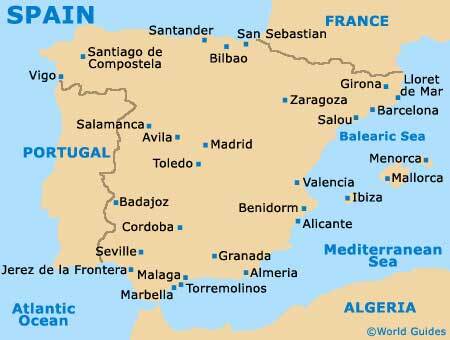 The capital of the island is Palma de Mallorca, on the western shore and just a short distance to the north-east of Palma de Mallorca Airport (PMI). Palma has much to offer and features a large bay, known for its spectacular sunsets. Central Palma runs from the Plaça d'Espanya to the main harbour area and contains both the train and bus stations. The western side of Palma de Mallorca boasts a thriving restaurant scene, together with a vibrant nightlife and numerous bars, while the eastern side is home to a number of historic landmarks, including the cathedral and also the Palua de l'Almundaina. 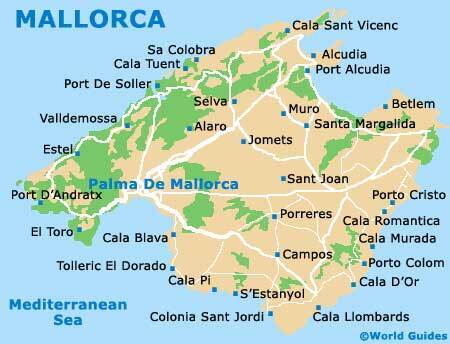 Palma de Mallorca is the only real city on the whole island and actively promotes tourism. Those visiting the city should be sure to head to the Old Quarter, where cobblestone streets, Gothic-style architecture, noteworthy fashion boutiques and stylish bars are all close together. However, this area can become busy and is also brimming with tourist-related gift shops. The beaches are best reached by bus, with many high-rise apartments and hotels lining the bay area. Popular resorts, towns and villages along the south-western coast of Mallorca include the small town of Port d'Andratx - which is surrounded by a small bay, and the seaside town of Sant Elm - a popular day excursion from Palma. Along the north-western coast, the villages of Banyalbufar, Deià, Estellencs and Valldemossa are all worth visiting.